As I was driving back from Merthyr Tydfil - over the mountain road towards Fochriw - I parked the car to take-in this view looking North. 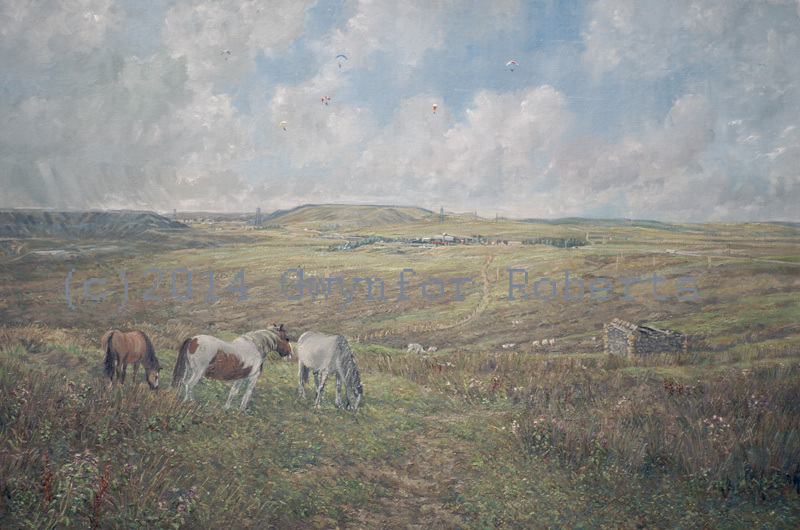 It's a follow-up on the paragliders painting I had done ealier. A detail is shown below. This is a detail from the above painting and gives a better view of the coal depot which shows the red Aberthaw power station train being loaded with coal. It was a good day when I was here with the Brecon Beacons seen in the distance. 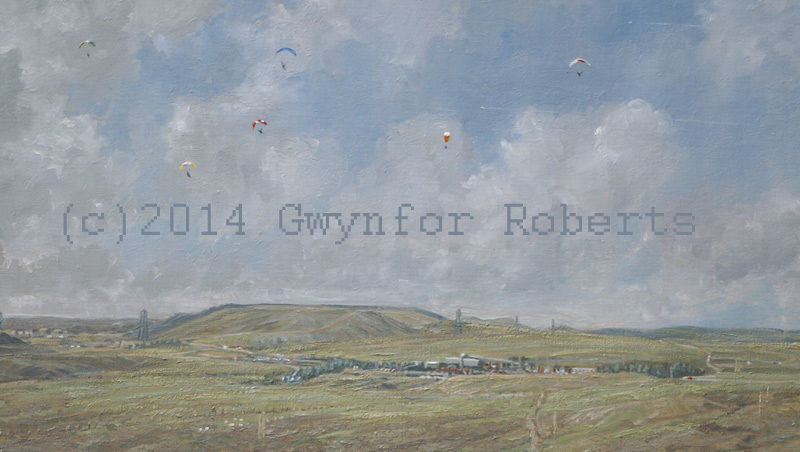 The paragliders seen here were overhead on that day but I've shown them drifting North - just for this painting.